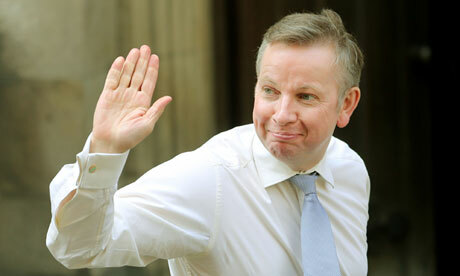 Michael Gove finds himself mired in yet more controversy. This time over the history curriculum which he has been accused of writing himself whilst ignoring the advice of history education experts. In addition there have been further allegations of bullying made against his department. It really does beggar belief how such a controversial and seemingly incompetent minister has remained in post for so long. A case of rewriting the history curriculum? Who wrote the much-discussed new national curriculum for history? It is an intriguing question, with the Historical Association having said its advice and evidence have been ignored, while one Conservative former adviser to Michael Gove said the current draft “bore no resemblance” to versions he had worked on as recently as January. So what is the rumour going around the history community at the moment? It is that the seven-page draft curriculum, with its 134 bullet points, including the stipulation that key stage 1 pupils learn about Christina Rossetti and those in KS2 about the Heptarchy, was written by the education secretary himself. Chairing a history conference last week, the shadow schools minister, Kevin Brennan, voiced this publicly. “There’s no truth to the rumour that the secretary of state wrote up [the draft history curriculum] over a weekend?” he asked of senior civil servant Marc Cavey. “It’s a nice story, but indeed not,” replied Cavey, perhaps a tad nervously. A source had earlier told Education Guardian that the seemingly unsubstantiated gossip had featured at a recent Historical Association meeting. Speakers at the Westminster Education Forum event disagreed over the merits of the document’s detailed content. But most were of the view that the volume of material included made it questionable whether the new curriculum would ever actually be taught in full to pupils. With Gove due to reappear before the education select committee this week to answer questions about what he knew about bullying allegations within the Department for Education, news reaches us of an official complaint that has been made about “intimidation” by one of that department’s academy “brokers”. The complaint came in a letter sent by Tim Crumpton, a Labour councillor in Dudley, West Midlands, to the office of Gove’s schools commissioner, Elizabeth Sidwell, last November. Crumpton, the council’s cabinet member for children’s services, asked the office to investigate “bullying” by the broker. As reported in this column, these DfE brokers are seeking to push many schools towards academy status. Crumpton said he had accompanied the senior official on three visits to schools in Dudley. “On each occasion, [her] behaviour has been intimidating and bullying towards governors, headteachers and local authority staff,” he wrote. Crumpton told his local paper, the Stourbridge News, he had received an unhelpful response to the letter from the DfE. Meanwhile, campaign groups associated with at least four schools that are under sustained DfE pressure to convert to sponsored academy status have joined together to set up an organisation called Parents Against Forced Academies. The group has aproposal on the 38degrees campaigning website which, with approaching 2,000 supporters, was top of a list of “hot” issues on the site as of last week. Parents at Roke primary school in Kenley, Surrey, have now said they intend to launch a legal challenge against the DfE’s move to enforce academy sponsorship under the Harris chain. Intriguing goings-on continue at Kingsdale school, the academy in Southwark, south London, which has been at the centre of an unresolved GCSE and BTec cheating inquiry by exam boards for more than 18 months now. Sources say the school refused to give out its 2012 GCSE results to parents last autumn citing the controversy over GCSE English, meaning that grades were provisional at this stage. But in January, official league table results on Kingsdale – described as “brilliant” by David Cameron in 2011 – seemingly showed a dramatic fall in grades in summer 2012. The previous year, 60% of pupils gained five good GCSEsincluding English and maths. By 2012, it had fallen to 36%, which is below the government’s current 40% “floor target” minimum. The government data does not include the effect of any GCSE English resits or appeals, and the school has now published unofficial statistics, taking them into account, which put the figure at 49%. However, new data published by Ofsted makes it clear that Kingsdale’s results drop was not confined to English, with science A*-Cs also falling sharply, from 63 to 26%, and maths also down. Ofsted visited the school in December and gave it a “good” rating. But some parental and whistleblower sources are puzzled as to why the latest GCSE results were not given more prominence in the inspection report, which says mysteriously that unspecified “circumstances”, leading to a reduction in revision support, helped to explain the 2012 drop. Steve Morrison, Kingsdale’s headteacher, said the decision to hold back some of its 2012 exam data last term, because of the GCSE English review, was a practice “in line with hundreds of schools” across England. Kingsdale results were also generally good, with early-entry GCSE grades for pupils now in years 10 and 11 at a “record high”, he said. The crème de la crème of academy governors? The state of Swindon academy, one of seven academies that have had warning letters from Ofsted, suggests that having experts on the governing body is not always a guarantee of success. Sir Michael Wilshaw, the chief inspector, has been complaining that some governors are not up to scratch, but Swindon has a line-up other schools might envy. Mary Curnock Cook, the chief executive of Ucas, the university admissions service, has been a governor there for five years. The chair is Sir Anthony Greener, a former chair of the now abolished Qualifications and Curriculum Authority. Fellow governors include Colin Fraser, recently retired deputy head of Marlborough College (£31,000 a year for boarders) and Marlborough’s director of science, Nic Allott. From industry, there is Mike Godfrey, who until a couple of months ago was chief engineer at Swindon’s Honda plant. He had worked for Honda for 27 years. The blame-hunters might direct their attention at United Learning, the academy’s sponsor, which runs its schools from the centre. United Learning is now run by Jon Coles, a former senior civil servant at the DfE. Worrying news that a significant number of unqualified staff are being employed as teachers in free schools. In addition, at least one free school is employing a headteacher who is not a qualified teacher and plans to ignore the national curriculum. This is directly at odds with the requirements for Qualified Teacher Status being made more stringent which suggests that greater qualifications are required to teach effectively. The government’s education policies are, yet again, shown to be, confused and flawed. One in ten teachers working in free schools are not formally qualified to do so, according to official figures, including a 27-year-old who has been appointed as headteacher of a primary due to open this year. There were 21 teachers with no teaching qualifications in the 17 free schools that responded to a government census. Almost half (47%) of the schools had at least one unqualified teacher. Pimlico Primary free school in Westminster, which is due to open in September, has appointed a headteacher who is only now receiving teacher training. Annaliese Briggs, a former thinktank director who advised the coalition government on its national primary curriculum, is the designated head for the new school, which is sponsored by Future, a charity founded by John Nash, the Tory donor and former venture capitalist appointed schools minister in January. It is understood that Briggs, an English literature graduate from Queen Mary, University of London, and a former deputy director of the right-wing thinktank Civitas, is being trained in Wandsworth in preparation for the beginning of the next school year. She has already said that she will ignore the national curriculum and teach lessons “inspired by the tried and tested methods of ED Hirsch Jr”, the controversial American academic behind what he calls “content-rich” learning. One local teacher, who did not want to be named, said he was astonished that such an inexperienced candidate had been selected. . “It seems extraordinary that having experience and teaching qualifications are no longer prerequisites to running a school,” he said. Even a young headteacher is normally expected to have six years of teaching experience before they are entrusted with the task of leading a school. 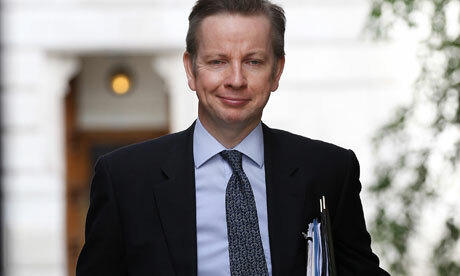 The education secretary, Michael Gove, announced in 2010 that free schools – which are outside the control of local authorities but funded by the state – would be allowed greater leeway over appointments. Last summer he extended such freedoms to the country’s 1,500 academies, claiming that removal of the requirement for staff to have qualified teacher status (QTS) would replicate the “dynamism” that he believes is found in private schools. The shadow education secretary, Stephen Twigg, responding to the school census figures – which were collected in November 2011 – said he would reverse the policy if Labour was in power. “Parents will be shocked to learn that this government changed the rules and we now have unqualified teachers in state schools. This wouldn’t happen under Labour – we would ensure teachers are qualified,” said Twigg. Leaders of the teaching unions believe the policy is part of a “deskilling” of the profession. Chris Keates, general secretary of NASUWT, the largest teachers’ union, said the latest figures were an insult to teachers. “This information is just a manifestation of the fundamentally flawed policies of a coalition government that believes it is acceptable that schools should be able to employ leaders and teachers who do not have qualified teacher status,” she said. “Parents and the public should be deeply concerned that they can no longer have confidence that when children and young people go to school they are being taught by a qualified teacher. 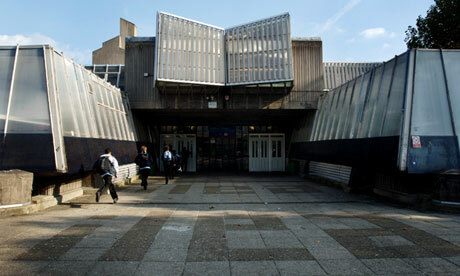 The row comes as the first Ofsted reports into standards in free schools are published. Batley grammar school in West Yorkshire and Sandbach school in Cheshire were both found to “require improvement”. They were said to be letting their pupils down across a range of subjects, particularly English. Staff at Sandbach school were told they had an “inflated view” of their performance. A Department for Education spokesman said: “We have given free schools and academies the same freedoms the best independent schools enjoy to hire great linguists, computer scientists, engineers and other specialists so they can inspire their pupils. As you probably know, many people wonder how our children’s education is being run at the moment. Up until the last couple of weeks, I thought the one person who would know the answer to this would be you. Now I have my doubts. Can I run past you the chronology on how we parents heard about something that will fundamentally affect the education of all our children – in my case, my two youngest? You’ll remember that on 20 June, Tim Shipman of the Daily Mail landed a sensational scoop: precise details of how GCSEs were to be scrapped from September 2014 to be replaced by O-levels, set and examined by a single exam board, alongside “simpler exams, similar to the old CSEs” for “less intelligent pupils”. What we don’t know here is whose words are in quotation marks. Are they yours? One of your officials’? Or Shipman’s? All we can say is that it must be very convenient for you that we don’t know. That way, you can always lay claim to the words that people praise and disown the ones that people dislike. When the story broke, we noticed, first, that you didn’t deny it, and secondly, it appeared as if you were the only person in the world who had heard of this plan. Will you ever clear that matter up? The reason I ask is that there is a feeling in and around schools and universities that education is too important and too complex to be left to one person, his pencil and the back of an envelope – even someone as wise and thoughtful as yourself. A few days later, the BBC website told us of a speech you gave at a Spectator conference. Now we learned that it most certainly wasn’t going to be a two-tier system: everyone was going to take the new O-levels. In other words, it was going to be the GCSE but harder. 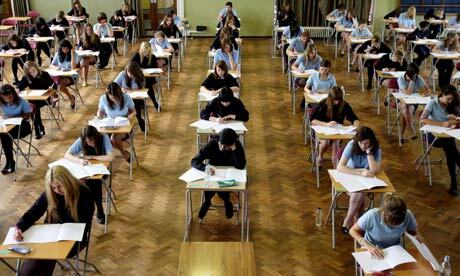 Do you have any evidence that making exams harder makes students better at anything? I’m sure you could put yourself in charge of raising the high-jump bar in the Olympics, but that would ensure that fewer high jumpers could clear it. In so far as anything resembling a policy is emerging here, that’s about the only one I can discern: make the exams harder in order to get more students failing. Do you know, that’s precisely what is worrying many of us? It’s the image of you roaming round the Department for Education working out where you’re going to deliver your pen-stroke next. Meanwhile, we know that though this flourish of the pen will affect our children’s education, the matter need not pass through the mechanisms of government. It’s Govement, not government. You’ve let it be known your inspiration for this harder exam is Singapore. The great advantage in invoking other countries is that few of us are well enough informed to question whether you’re having us on or not. But some people are. On 25 June, David Price OBE (for services to education), director of learning for the Liverpool Institute for Performing Arts, told us on his blog: “Three weeks ago I was in Singapore, invited by the ministry of education … to share the innovation of the educational projects I’ve led. While Gove’s proposed reforms are set to follow Singapore’s exam system, their aspirations have already moved on. Singapore’s minister of education has given officials 18 months to rebuild the system so that it can produce students who can create, collaborate, think critically and compete globally in our unpredictable future. Among many other initiatives, they have instigated a pilot programme based on my work” – Price’s specialism being “re-engaging learners weary of the exam-factory culture”. From inside Westminster, and indeed inside your brain, it may seem as if you move like lightning: scrapping one exam, inventing another, getting a story out, then another, but the substance of what you have in mind is yesterday’s dinner. As an experienced professional like Price is telling you, the world is moving on. Singapore has noticed but you haven’t. Why not do us all a favour and forget all about that silly “stroke of a pen” stuff? PS, I don’t suppose you read Private Eye, but would you like to comment on the story in the latest issue, which claimed “educational publishers are … wondering at the conflict of interest” in the roles played by Ruth Miskin, who is reported as being a) the only primary literacy expert on the government’s committee overseeing the national curriculum review, b) the creator of a reading scheme that is government approved and c) whose publishers are in receipt of up to £3,000 of government match-funding each time a school buys Miskin’s reading scheme? 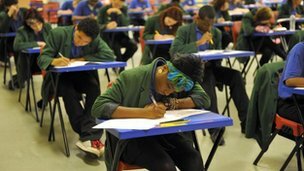 GCSE results could be overhauled with a cut in the number of grades available suggests the exams regulator for England, Ofqual. GCSE grades range from A* to G but a new report from the regulator questions whether this will remain the best structure in future. 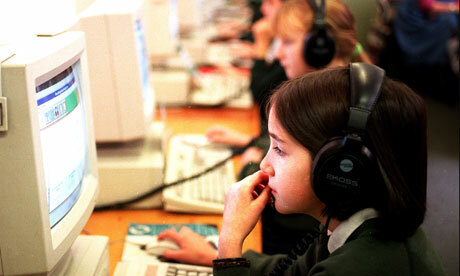 The government wants a new National Curriculum with new GCSEs by 2015. An Ofqual spokesman said the curriculum review was a timely opportunity to ask if the grading system met its purpose. Prof Dylan William of University of London’s Institute of Education said reducing the number of grades would be a mistake. “What would be more appropriate to have is a percentage score with a measurement error,” he said. For example, he suggested, a candidate might score 60% plus or minus 15% for marking errors. “The problem is, we are not honest about the inaccuracy of assessment,” he added. Prof William said the wide range of GCSE grades was a throw-back to the days of the two tier O’ Level and CSE exam system. GCSEs ‘irrelevant’The two grade systems overlapped with a top CSE grade being equivalent to a C grade at O’level. Professor William also predicted that GCSEs would become increasingly irrelevant as more pupils remained in education until 19. Sue Kirkham of the Association of School and College Leaders said the number of grades should depend on who the exams are aimed at: “If it’s for the whole cohort, then you need a wide range. Ms Kirkham added that reform of GCSEs should be the subject of a major consultation involving teachers, pupils and employers.